Nike launched a moving commercial today both online and on television sending happy Father's Day wishes to Dads everywhere. 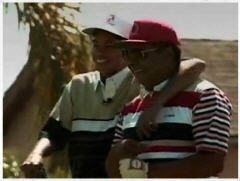 The advertisement features home video footage of a young Tiger Woods with his father who recently passed. The New York Times reported it as tribute to Tiger's dad. To view the commercial check out the NikeGolf.com.